Welcome To The Best Highway Safety Practices Institute New Website! The Institute is a 501(c)(3) nonprofit that provides professionals, policy makers, the press and the public with empirical data, findings, guidance, recommended practices and resources to advance best practices and fair laws. The Institute was founded in 2004, in Portland, Oregon by professionals who specialize in highway safety issues. The Institute focuses on a holistic approach to education, research, best practices and their application, and assuring public policy is founded in best practices to achieve roadway safety and that the exercise of police powers thereof is Constitutional. We can make our roads safer, return to fair laws and reduce our carbon footprint, too. In 1966, Congress passed The Highway Safety Act of 1966 which began a process to require that all traffic control, vehicle codes and laws regarding public roadways and right of ways in the nation be based on sound engineering principles, practices and have a uniform basis in–fact determination, appearance, expectation, application and the exercise of police powers thereof on all roads open to public travel regardless of state lines, jurisdiction type or classification. Congress’ goal was to return safety decisions to those that base their decisions only on findings–of–fact that have been proven to make us safer, with a uniform continuity of appearance, meaning and expectation. In 1988 Congress expanded the FHWA domain over construction of the nation’s highways to include all traffic control, vehicle codes and laws on them. One Nation, One Standard, One Look, One Expectation Based on Fact! 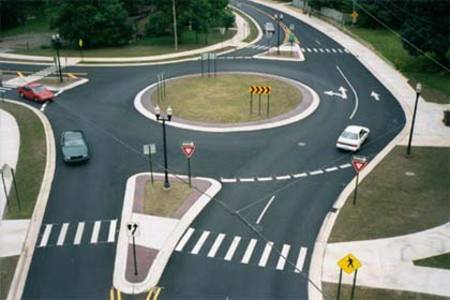 In this Act, Congress entrusted this field of science responsibility solely to licensed traffic engineering professionals and their institutions, because the tenets of their profession require studies to test a hypothesis, then peer review and verification before a standard, practice, procedure or principle can be incorporated into its engineering body of working knowledge. In addition, under our Constitution’s prescripts citizens have a natural unalienable right to travel within our millions of miles of transportation corridors that traverse approximately 80 thousand regulatory entities; and the regulation thereof shall not impinge on their rights within these federal protected and regulated enclaves and the exercise of police powers thereof shall be fact based with full due process; predicated on actual unsafe acts applying substantially uniform implementation, expectations and beyond a reasonable doubt adjudication standards. The U.S. Constitution, Article 1§8 (1) national defense; (3) commerce; and (7) post roads (transportation regulation) were symbiotic Constitutional powers our Founding Fathers deemed essential for the General Welfare of the Nation and they delegated their oversight to Congress; thus they’re not powers enumerated to States in the 10th Amendment. Federal Regulatory Supremacy in this Field became fait accompli when Congress invoked its Commerce Clause authority in “The Highway Safety Act of 1966” with an expressed emphasis on “roadway safety”, to “regulate the use of the channels of interstate commerce” and “to regulate and protect the instrumentalities of interstate commerce”. Thereby directly, by implication, or de facto effect Congress encompassed all Constitutional rights, modalities, means, instrumentalities, adjudication standards and Constitutional protections governing federal regulations, standards or acts in this field; from a regulatory and police powers perspective all instruments of travel became federally regulated and protected within these enclaves, and once a person enters an instrument of travel all their Constitutional Rights are preserved therein and the exercise of police powers thereof shall be uniform, transparent, and fact based regardless of stateliness or entity type or classification. The “Law of the Land” and “Rule of Law” regarding traffic control, interstate travel and commerce on our nation’s roadways must be taken in its entirety, and a Federal Agency or State et al cannot be allowed to unilaterally select which governing laws it wishes to comply with, or reject, or under which enforcement conditions or roadways due process applies, or not, or permit within their domain a device, regulation or statute to become an instrument under the color of federal law that facilitates the denial of due process. Thus, this is why we spend a significant part of our efforts is working with lawyers to teach them the history of our traffic laws, working with engineers to understand their responsibilities in assuring public safety and due process, and enforcement in how to apply these standards to establish factual probable cause, while capitalizing on their contact activity as a systems quality control check to assist engineers in identifying defects in traffic control. You can make that difference and even one informed person can achieve dramatic positive results. Our unsafe roads are a matter of choice, and in this case the Highway Safety Act of 1966 was the right choice. Let’s return to it for guidance and while we demand that our Constitutional rights matter. The law is behind us and therein lies the tools to accomplish this goal! We need your help! Get involved: Pick a topic or subject that you are concerned about, including tax deductible donations, and let "We the People" strive to make our roads safer. Knowledge is power, when applied, and we have the inalienable right to use it!